Contemplating what to do with your tax return? The average tax return is typically about $3000. Side note… with all of the tax law changes in 2018, this number most likely will be vastly different going forward. What are the best ways to spend my tax return? One side of the coin would be to save it – just like any prudent, well-meaning adult would do. On the flip side of the coin, it would be to blow it, let the reins loose and enjoy a little bit more than normal. Don’t worry… Every other person is debating between the same thing. Maybe you just want fun ways to spend your tax refund. With adulting, decisions have to be made – whether you like them or not. Am I going to be smart with my money or am I going to turn a blind eye? The real debate between saving it and blowing it? The reality is you have a choice on how to spend your tax money. The choice is yours. Honestly, most people see their tax refund as free money. Like extra credit for doing their homework. They believe the money is a gift received! Extra money to go out and spend. 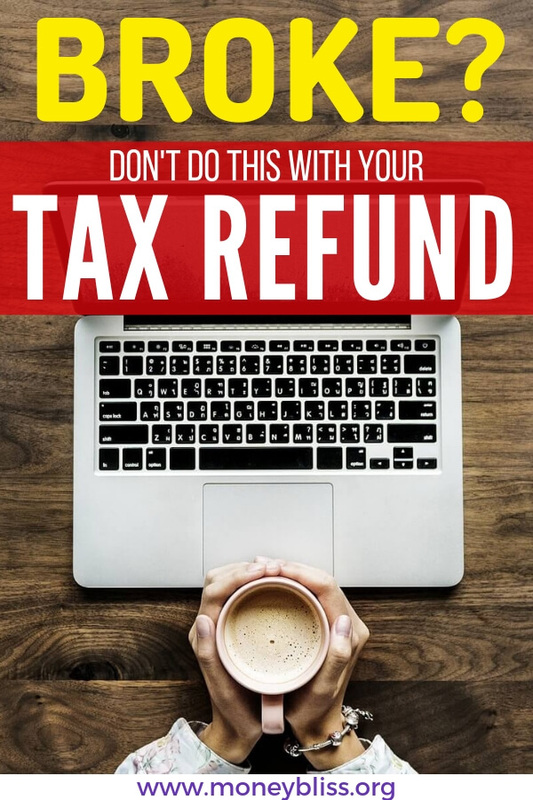 I’m here to tell you…Your tax refund is YOUR hard earned cash. Period. You worked hard over the previous year to earn that money. That money was a portion of your paycheck withheld to pay estimated taxes. That money is yours. It is NOT a gift. The government graciously held onto the money for you (plus no interest earned for doing that). So, the decision is yours. How are you going to spend your tax refund? 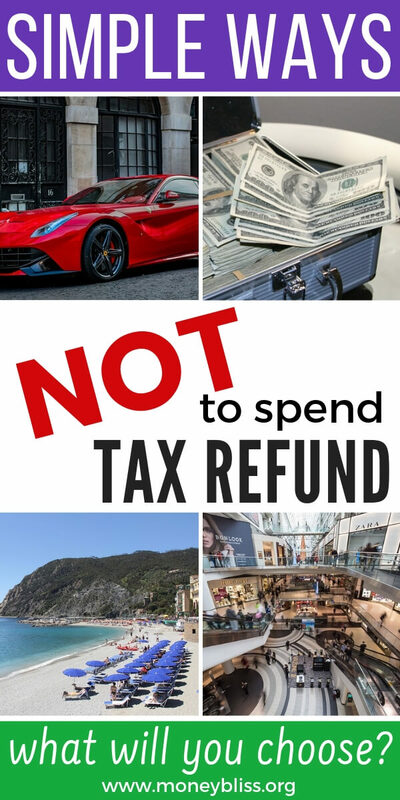 To help you decide, here is a list of ways NOT to spend tax refund money. Our society is full of materialistic stuff. The latest toys, gadgets, clothes, and electronics. Every house is full of stuff. If you don’t believe me, look around your house. See it? You have been blessed and don’t need more stuff. Storage units have been a fast growing industry for years. The reason is simple – people need more space for their stuff. Buck the trend. Looking to kick the clutter? 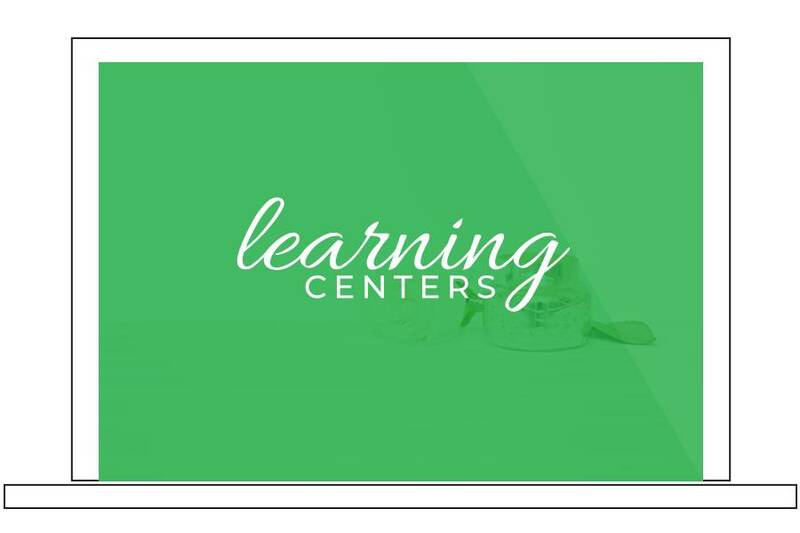 Learn the importance to conquering your clutter. 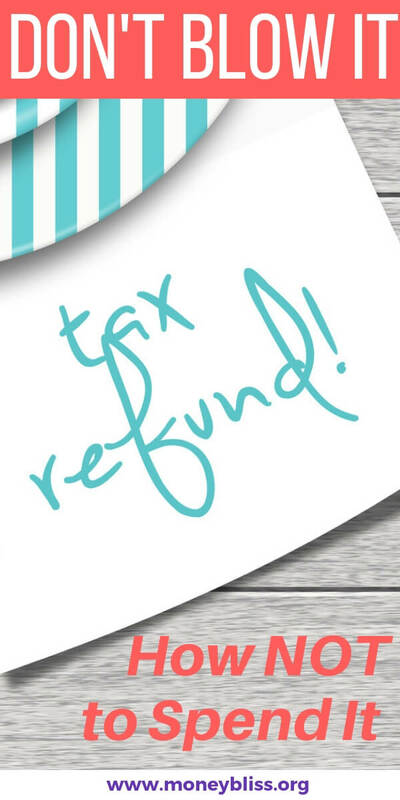 Many people use tax refunds for their vacation money. If you can’t afford a vacation in your budget (or Cents Plan), then you probably can’t afford that fancy, expensive vacation. Spend what you can afford on vacation. Not what your friends and neighbors spend. Money under the mattress is losing money. While that concept seems odd, it is true. Because of the cost of inflation, cash under the mattress actually decreases in value. So, your $1000 in cash will be worth about $957 in two years. The alternative is to put that money to work. FDIC insured bank account. This is a great option. Start investing the cash. Here are the best finance books to get you started. While I truly believe to have some cash envelopes on hand, carrying too much cash can be detrimental. If your tax return needs to be used to cover monthly expense, then you must cut expenses. No beating around the bush on this one. You are spending more money than you are making. Time to drastically cut expenses. Many times, we say that is impossible. Guess what? 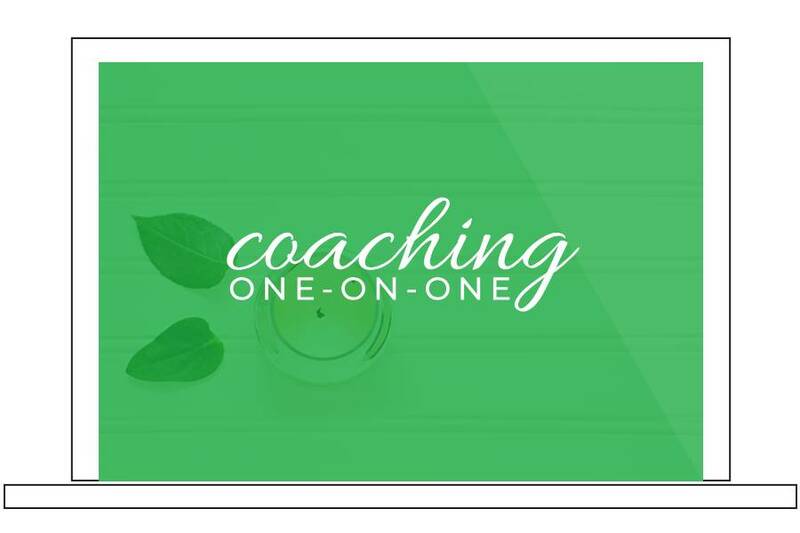 Learn how to overcome when ends don't meet. The average household throws away $125-500 in food each month. Would you willing throw that much cash into the trash? Make changes. Eating out? Cable? Concerts? By using your tax return money for monthly expenses, the paycheck to paycheck cycle will continue. Trim up your discretionary spending first. Then, look at ways to lower basic expenses. This may mean moving to a lower cost area. 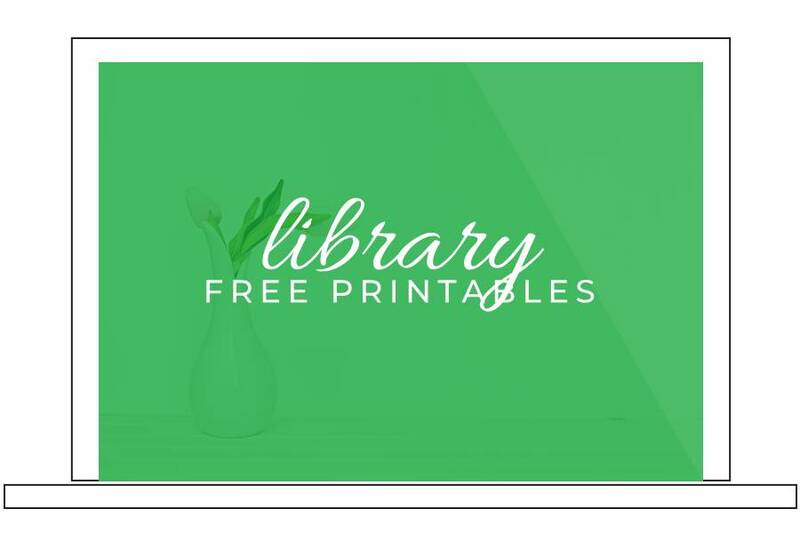 Get your free budget printable here. Must Read: Do You Know the Ideal Household Budget Percentages? Remember, your tax return is your hard-earned income. NOT A GIFT! This is not the time or place to buy stuff you can’t afford on any other day. You read that right… Stop shopping online and turn away from any other tempting retailers. Turn blinders on to spending money. Better yet, hold a spending freeze! The average tax return is about $3,000. The perfect amount for a down payment. Some down payment examples include car, home remodel project, engagement ring, vacation membership club, new home furnishings, boat, or camper. Stuff you cannot afford, but want anyway. Don’t be lured in with the low or 0% interest free rates. Leasing is worse than financing, so turn away fast. Utilizing your tax refund for a down payment on stuff you cannot afford is not a smart way to achieve financial independence. 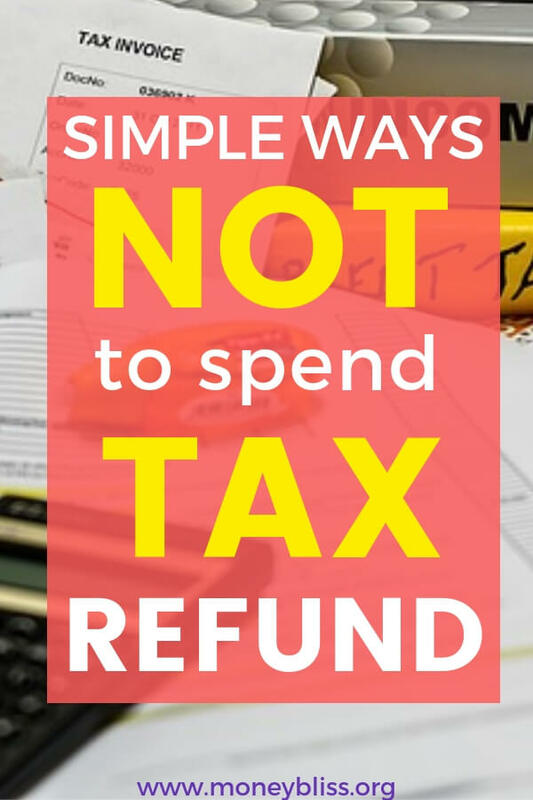 A list of simple ways NOT to spend tax refund. Life is full of choices. Now to read… Smart Ways to Spend Tax Return & Not Blow It! Previous Post: « Tips to Save Money as you Walk Down the Debt Road!